The name of this houseboat says it all. 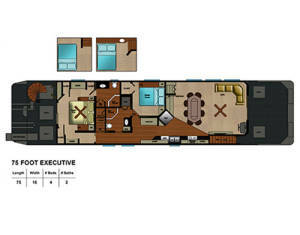 The 75’ Executive boasts the ultimate executive status with four private bedrooms, one of which is a king master bedroom with an en suite. 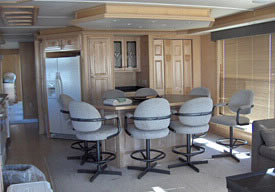 The salon has an entertainment area larger than life with a 42” plasma flat screen television and Blue Ray DVD player. 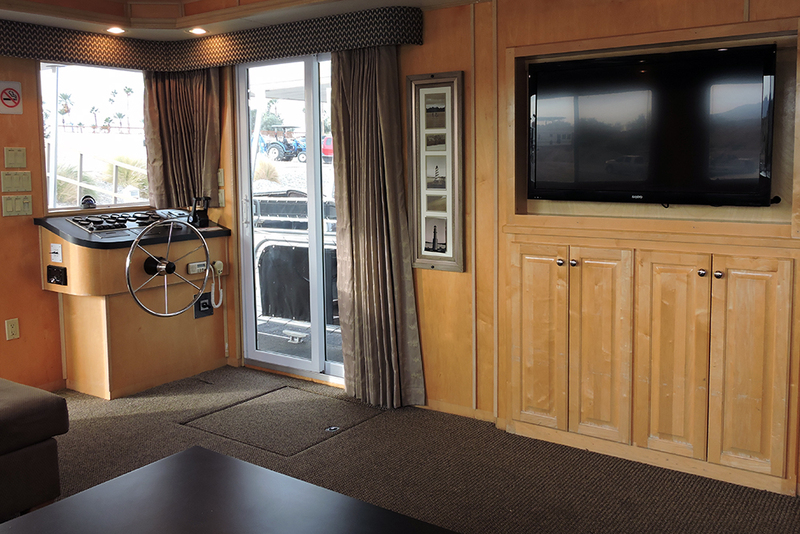 The spacious upper deck has a captain’s flying bridge for upper deck navigation so that the driver doesn’t have to miss out on any of the fun! 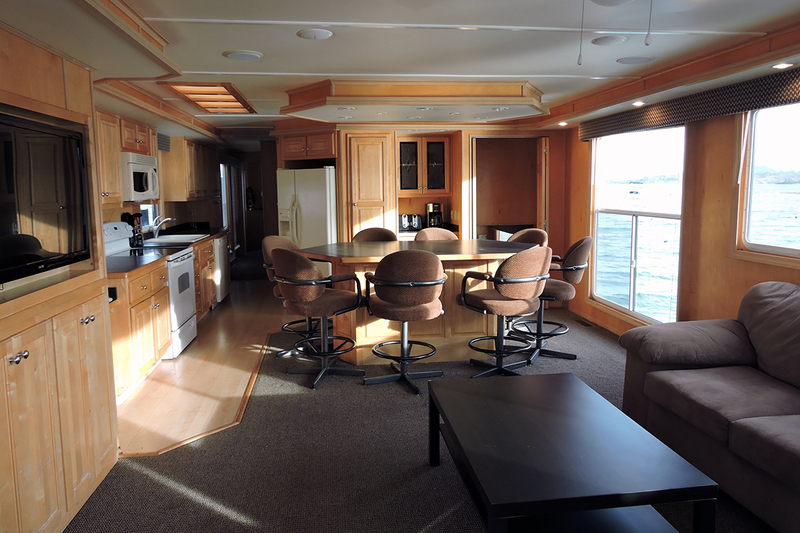 The upper deck also has a wet bar, sun canopy, hot tub, dining table, patio, and lounge chairs. DEPOSIT POLICY - A separate security deposit of $1,500 (3,000 for Spring Break) is due at the time of booking. 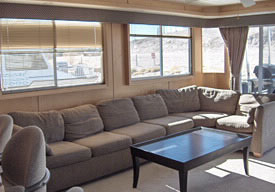 The deposit is refunded minus a $95 pump out fee and a $10 per day propane fee at the end of your trip and is returned by a check mailed 7-10 days upon your return, provided there are no damages. 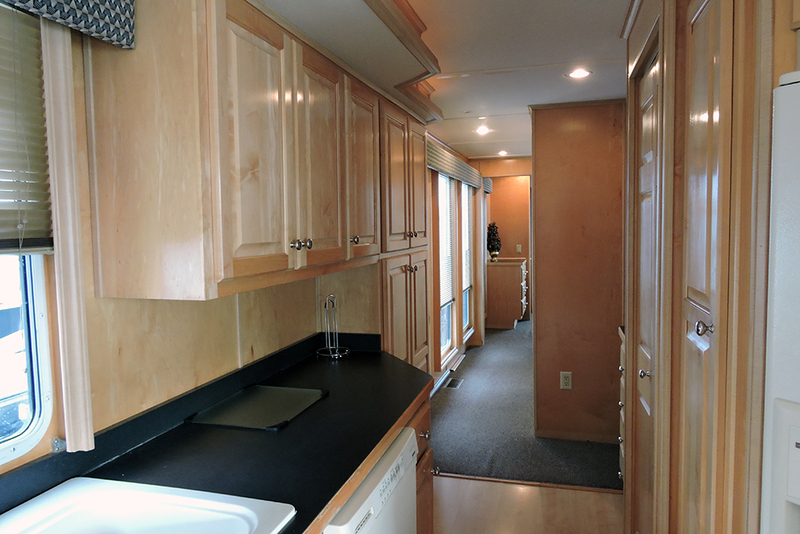 Full payment is due 60 days prior to arrival date. SECURITY DEPOSIT - A security deposit of $1500.00 ($3,000.00 for spring break) is due upon making your reservation. 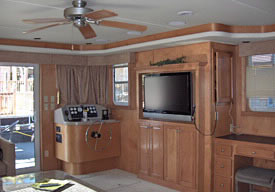 The security deposit does not apply toward your rental amount and is completely refunded as long as the houseboat is returned on time and in the same condition as when rented. 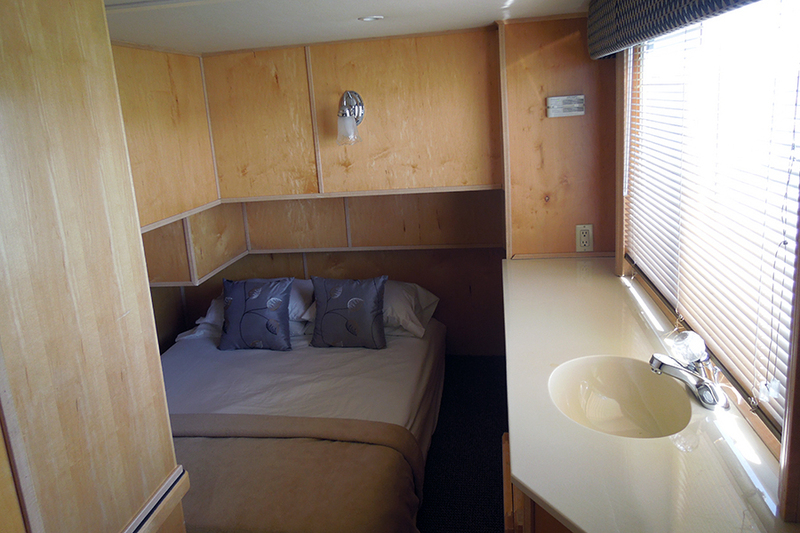 FULL PAYMENT - Payment in full is required 60 days prior to boarding your houseboat. 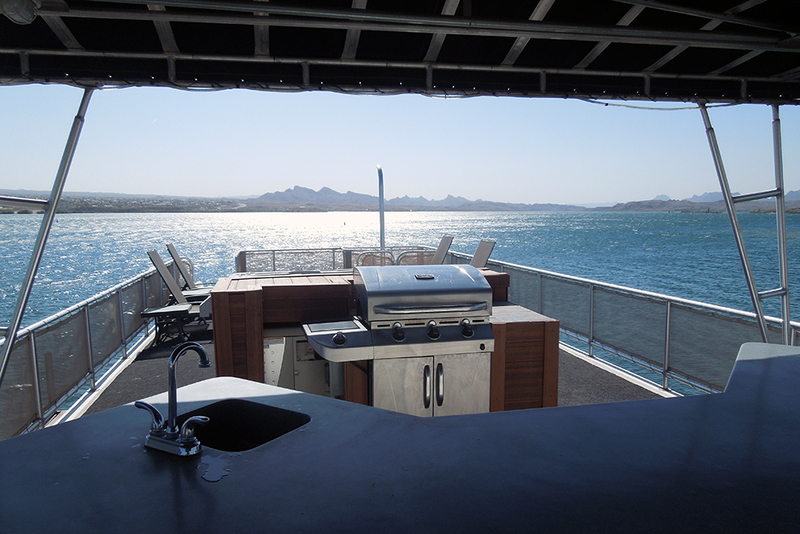 For Holiday Weekends- Memorial Day – Fourth of July- Labor Day payment in full is required 90 days prior to boarding your houseboat. ACCEPTABLE RENTAL & DEPOSIT PAYMENT - Cash, money order, cashier's check, traveler's check, MasterCard, VISA, Discover or American Express. No personal checks, company checks or debit cards accepted. All Credit Card payments must be made in the name of the contracting party. CANCELLATION POLICY - If you must cancel, notify us at least 60 days before your departure date. Your deposit will be refunded less a $150 cancellation fee. Cancellations received between 59 and 45 days before departure are subject to a cancellation fee equal to your deposit amount. Cancellations received less than 45 days before scheduled departure are subject to forfeiture of total prepayment. Full payment shall be paid at least 60 days before the departure date. If full rental payment is not received at least 60 days before departure date, your reservation will be considered canceled and your entire deposit will be forfeited. Reservations made less than 60 days in advance must be paid in full within 48 hours of booking. If you must reschedule your vacation or change your equipment rental during the same year, there is a $50.00 change fee when the original departure date is more than 60 days in advance. Any rescheduling requests 59 days or less before the original departure date will be treated as a cancellation. See cancellation policy. We regret that exceptions cannot be made for personal emergencies as a cause for cancellation. Rates Policy Holidays there is a 4-day minimum. During October - April the 7th day is free is booking a 6-day trip. Note there is a $95 pump out fee on all boats as well as a $10/day propane fee. Rates along with Terms and Conditions are subject to change. RENTALS - All rentals are limited to adults age 21 and older with valid automobile driver's license. 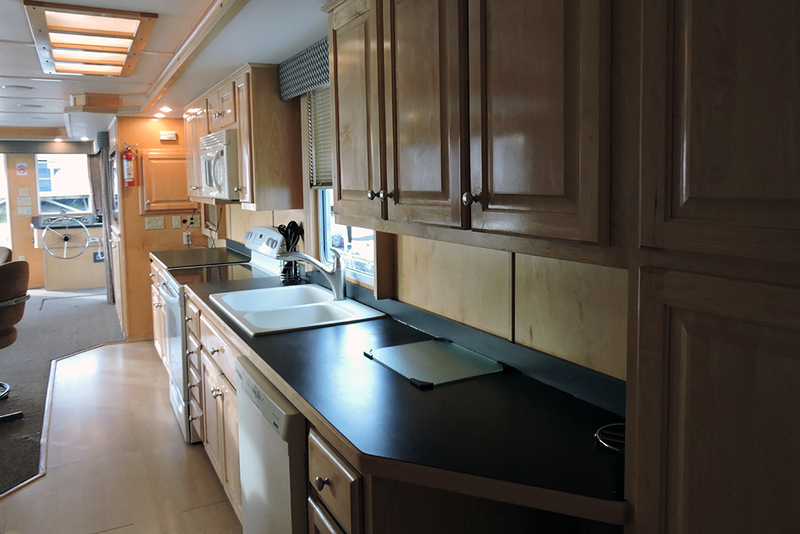 Rates do not include tax, fuel, propane, pump out or any optional waivers. 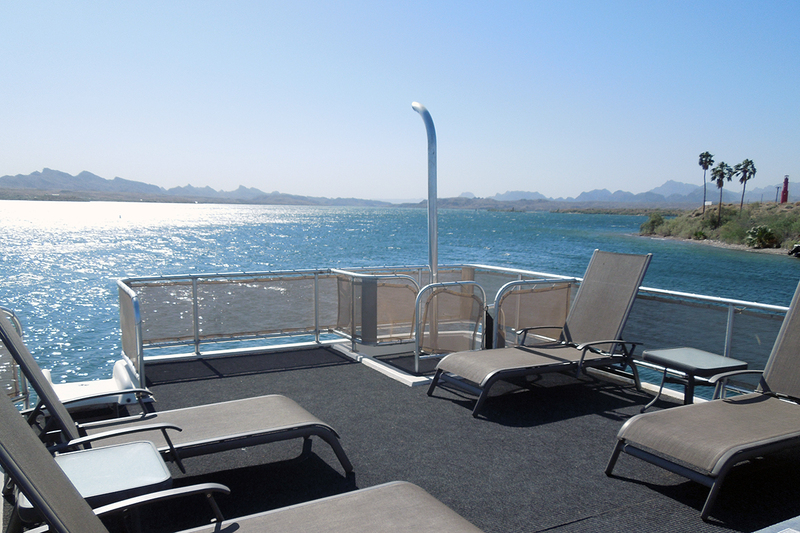 HOUSEBOAT BOARDING - Boarding begins at 9:00 am. Check in at the rental office upon arrival. 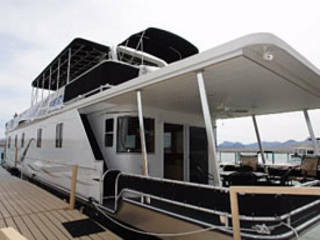 Houseboat must be returned to marina unloaded no later than 2 p.m. of the last day. 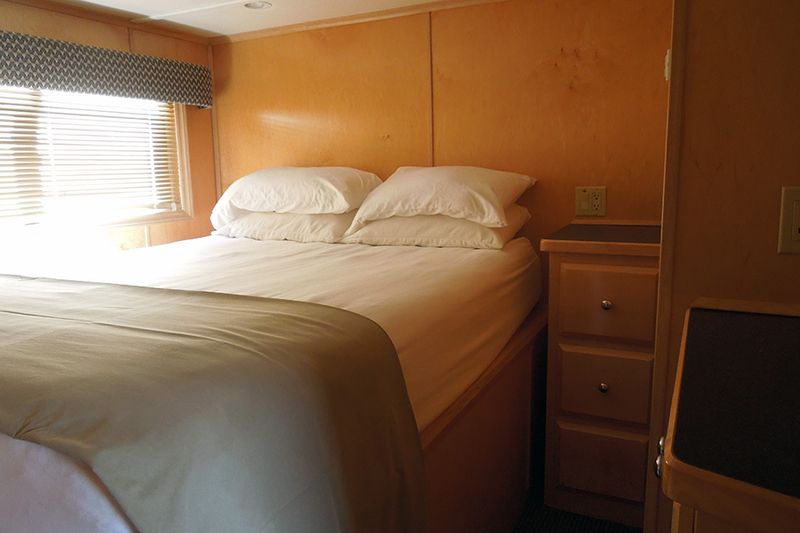 Based on availability, special arrangements in regards to the houseboat return time can be made in advance during the non-peak season. 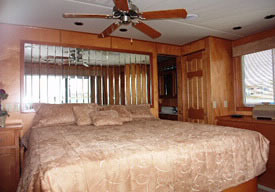 All houseboats are rented by the day. PRIOR TO BOARDING - Before departing the docks, you and one other adult will be required to complete a Captain's Course and Orientation. You must also sign a rental agreement that includes an Acknowledgement of Risks and Release of Liability. Declining to execute this agreement will result in the cancellation of your agreement. OPERATION - All operation procedures are reviewed with the customer at the marina. No special boat license is needed, only respect for the size of the craft, its engines, basic boating rules, and courtesy. 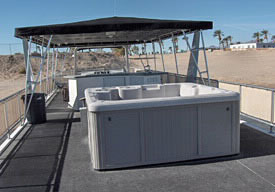 Houseboats cannot be operated in the London Bridge Channel, Copper Canyon, and any upriver area beyond Lake Havasu. Grounds for forfeiture of the boat, deposit, and all remaining rental fees include any of the following: pets, extra fuel, firearms, fireworks, launching of water balloons, operating the houseboat after dark, having more than 12 people while underway and/or having 25 people on the while beached. FACILITATING FEE - If you must reschedule your vacation due to a conflict with the original date requested, you may do so if it is at least 60 days before your original departure date during the same calendar year. 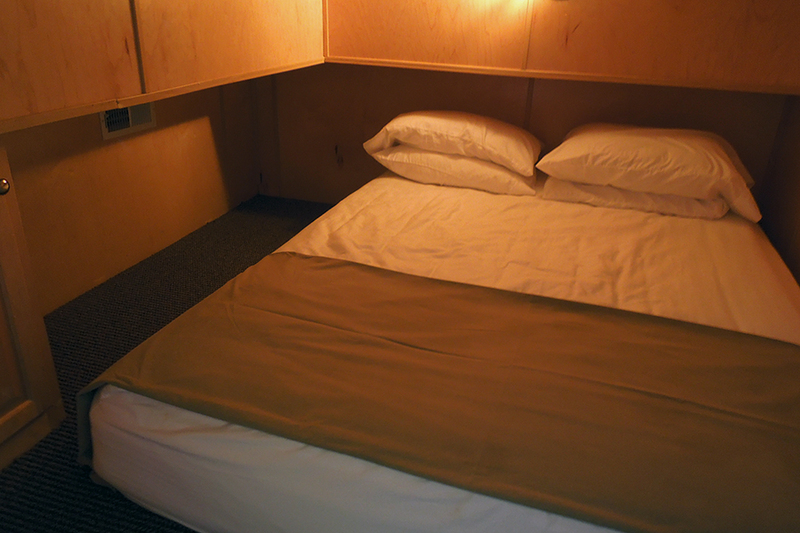 You will be charged a non-refundable $50.00 facilitating fee, per change made to your original reservation. ADDITIONAL FEES - A $95 pump out fee applies to all houseboat trips. There is also a $10 per day propane fee.